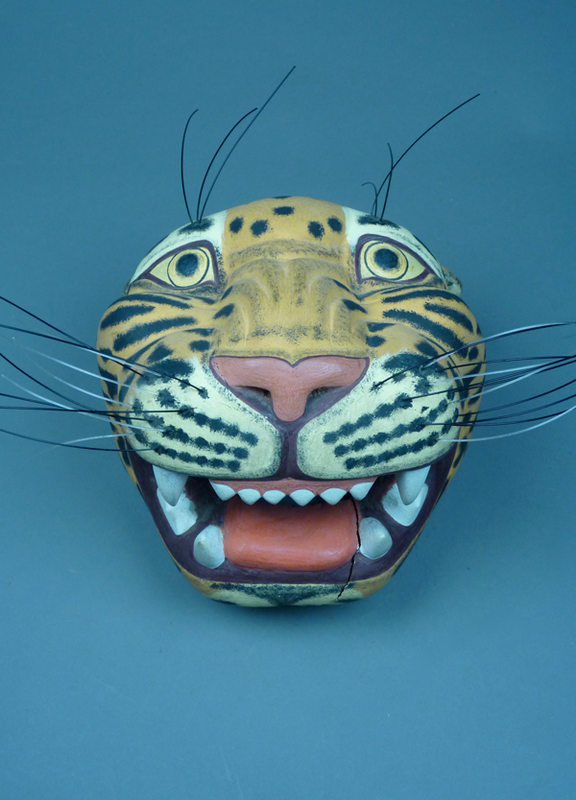 As I noted in my posts about Chiapas and Guatemala, these masks of jaguars reflect the earlier importance of jaguar imagery in precontact beliefs and dances. Along the Costa Chica, a stretch of the Pacific coast that spans the border between the Mexican states of Guerrero and Oaxaca, Tigre dances have remained popular. In my posts of October 13, 20, and 27, 2014, I introduced you to those dances in Guerrero and on November 3, 2014 to those in the Amusgo towns on the border with Oaxaca. 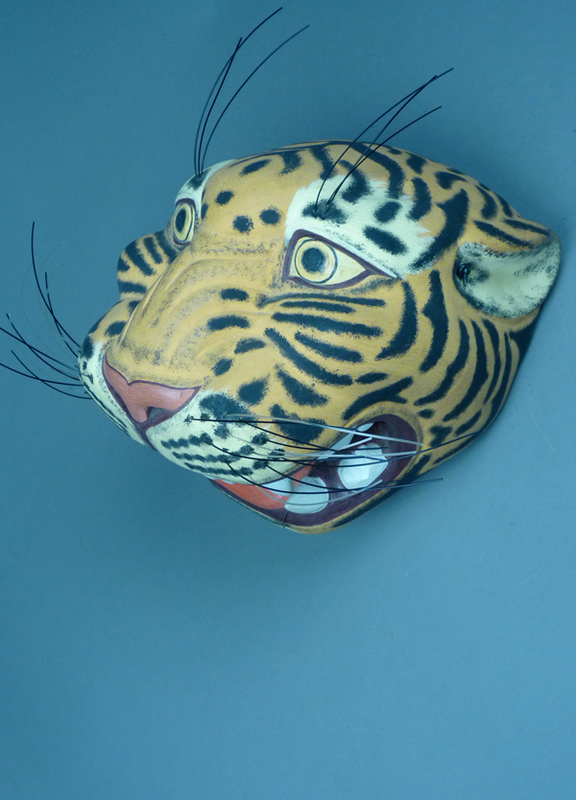 In last week’s post we found a jaguar among the ancient day signs from the Mixtec calendar. Seen from this angle the mask is particularly handsome. 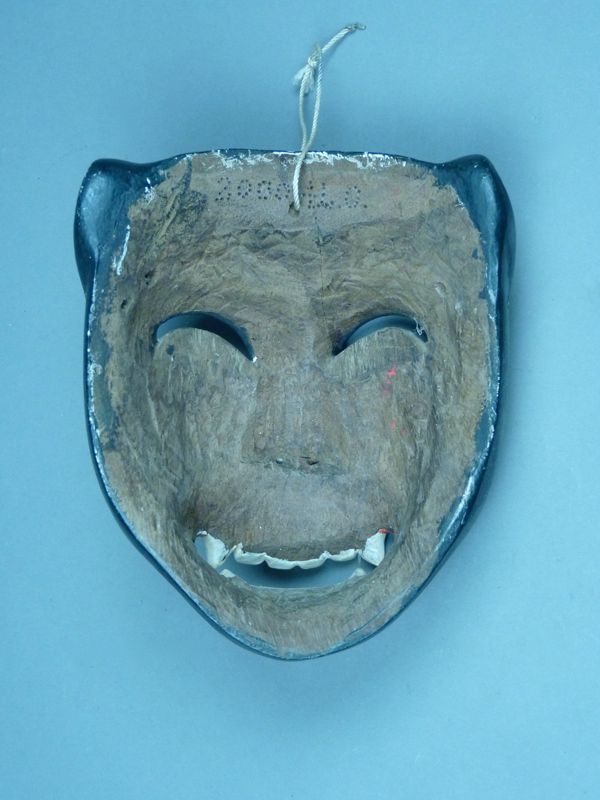 This mask is 9 inches tall, 8 inches wide, and 7 inches deep. The wearer looks out through the open mouth. The first Tigre is signed LAO May 2000- CHOPI. I believe that is had had only mild use. The second Tigre is not quite as large as the first, but it is equally handsome. I purchased it from Ladislao in January 2004. 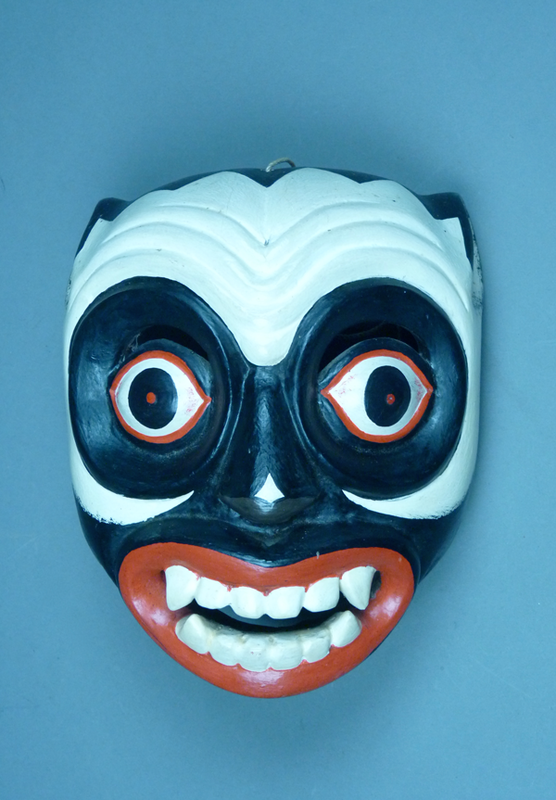 This mask has a very narrow open mouth, but the dancer has been provided with vision openings next to the carved eyes. The mask is 8 inches tall, 8 inches wide, and 5 inches deep. This Tigre is signed EN 97 LAO, January 1997 ( Enero is Spanish for January). This one has no cracks and there is evidence of moderate wear. 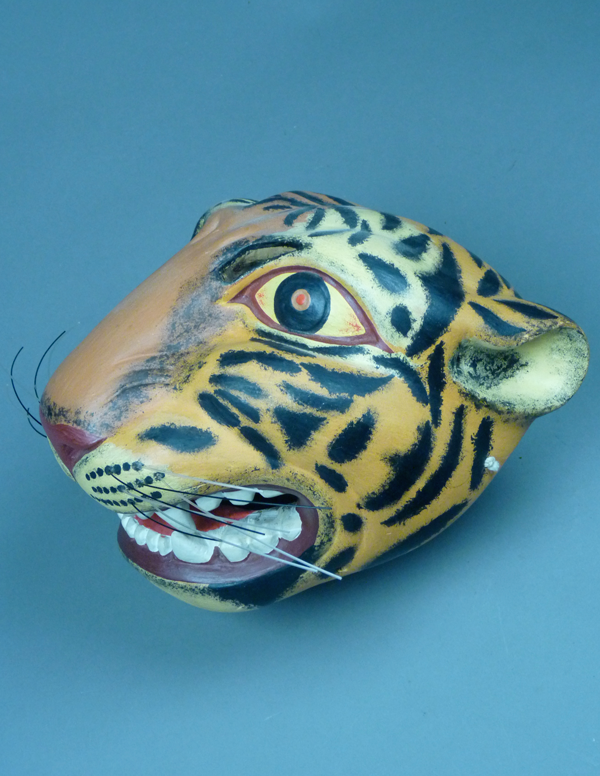 Next is a beautiful and unusual version of a Tigre mask, one that takes its form from the Black/White Negrito masks that we discussed in the last two posts. 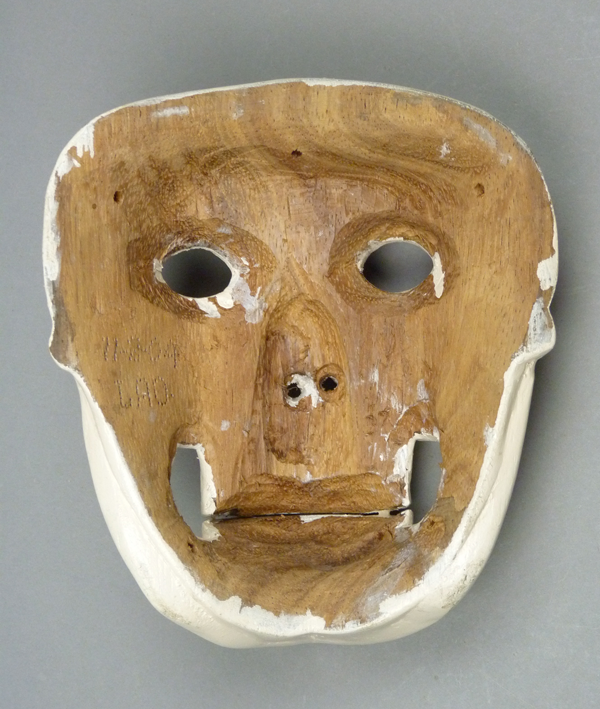 This mask was carved in 2000 and I purchased it in January, 2004. 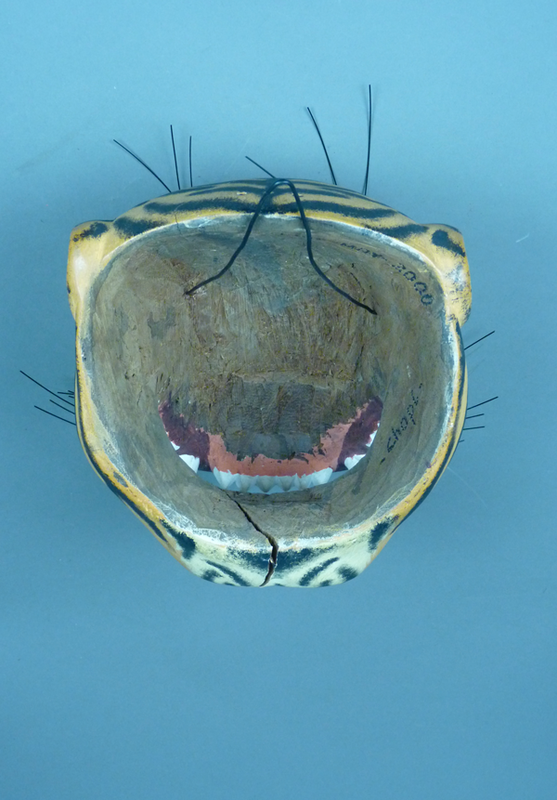 This Tigre has vision slits above the eyes. The mask is 7 inches tall, 6 inches wide, and 3 inches deep. This mask is signed 2000 LLO. The back has great patina from use. 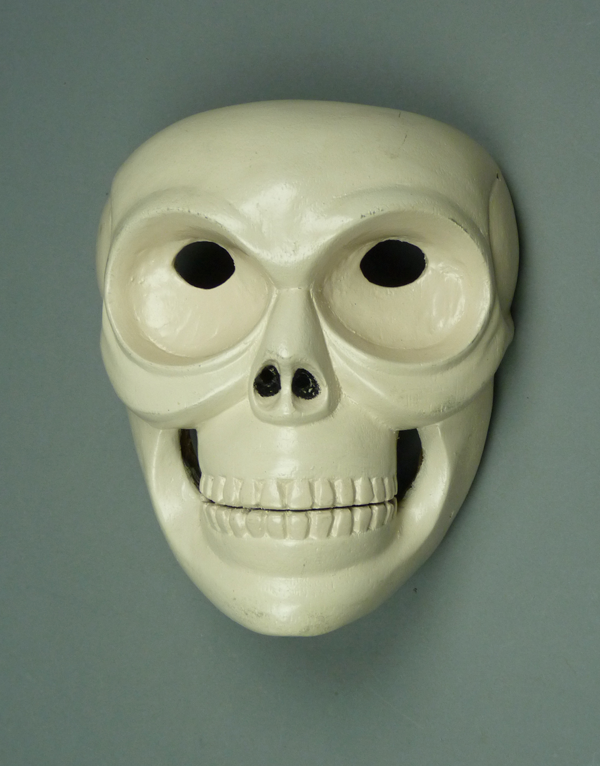 The last of this series of masks is a remarkable carving of a skull. 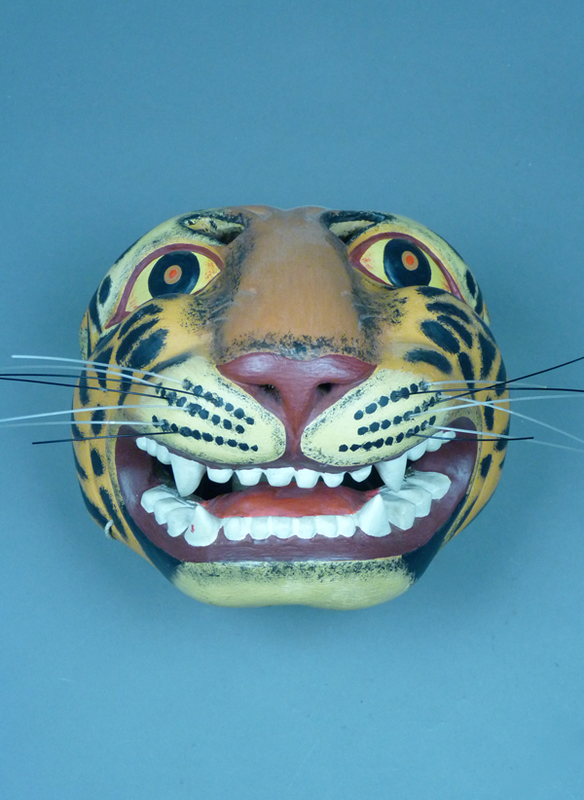 Although one might assume that such masks were used for the All Saints performance (Day of the Dead), this mask is actually worn by a dancer in the Tejorones Dance, along with all the other masks in the last two posts. I purchased it from Ladislao in July 2004. 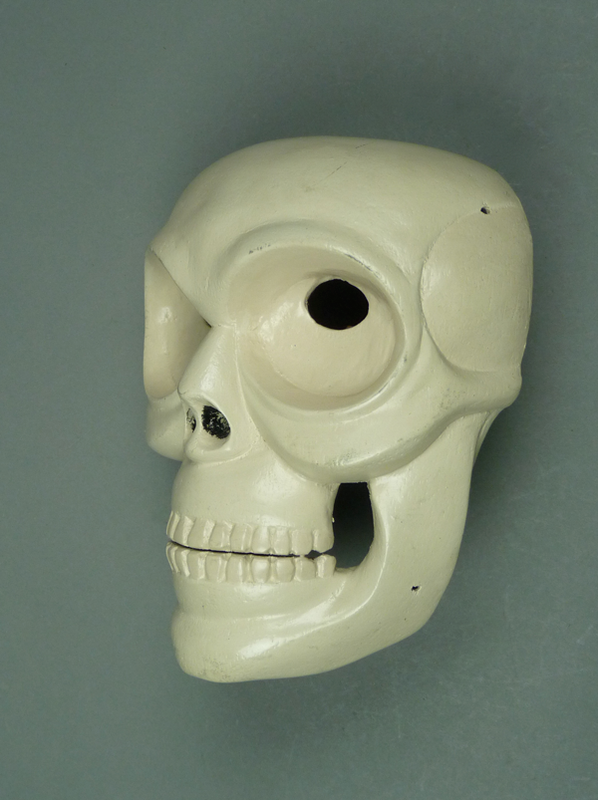 This is a handsome skull mask with its deep socket eyes. 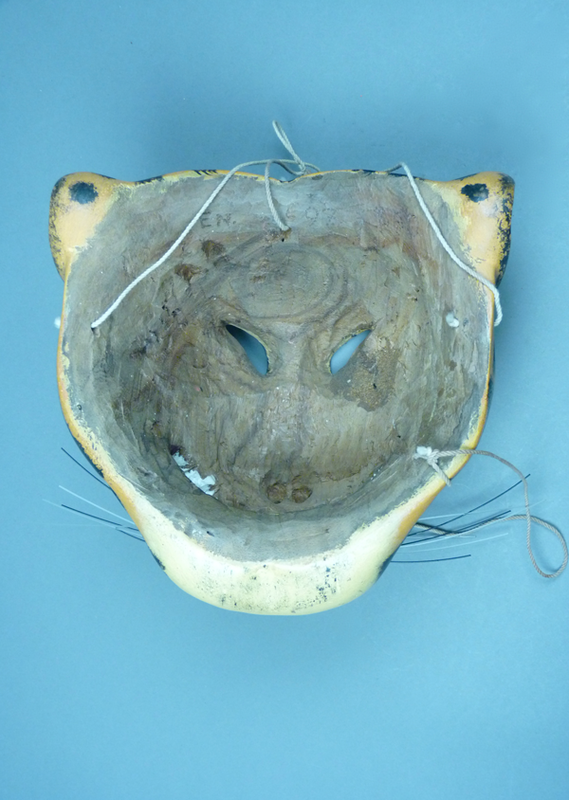 The mask is 6¾ inches tall, 5¾ inches wide, and 2½ inches deep. This mask is signed 11-2-04 LAO, indicating that it was completed on February 11, 2004. It is undanced. 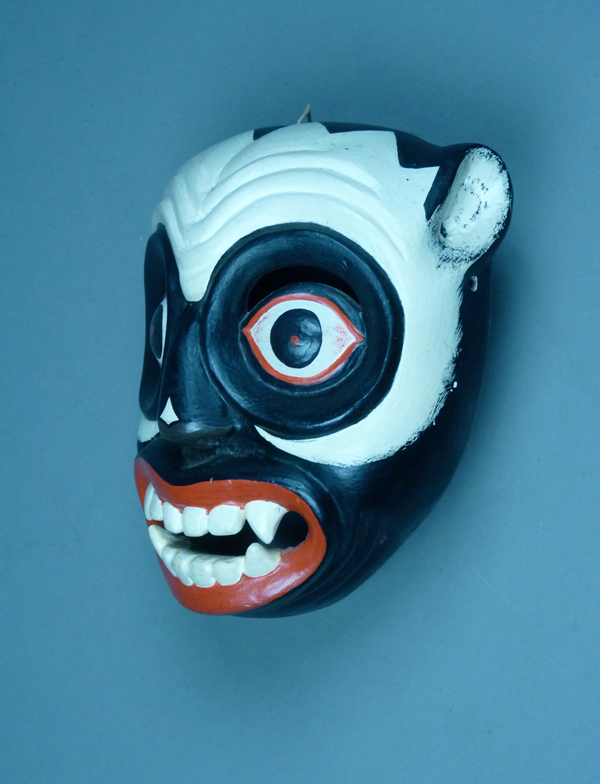 I hope that you have enjoyed this brief introduction to the masks of the Mixtec towns on the coast of Oaxaca. I will tell you more as Barbara Cleaver and I do more research. Next week I will discuss the Parachicos dancers from Chiapa de Corzo, in the Mexican state of Chiapas.